Members of the team sampling 480-million-year-old black shales from the Meguma Terrain in Nova Scotia, Canada. 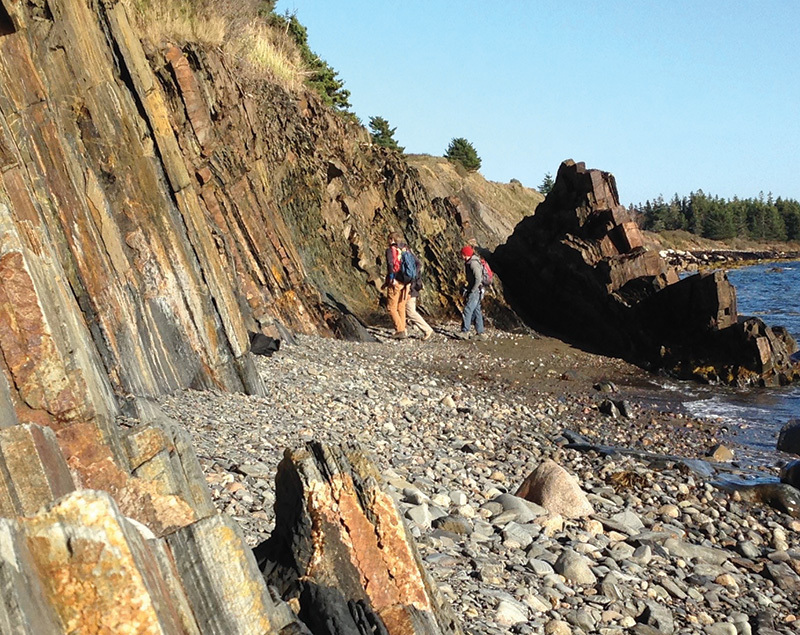 Ancient samples of pyrite, or fool’s gold, have revealed the role of plate tectonics in bursts of evolution and mass extinction events. Did man ultimately originate from mega-mountains?